Come Here To Me! charity fundraising, December/January. | Come Here To Me! « Some great Dublin Zoo escapes. Come Here To Me! charity fundraising, December/January. Back in December we decided that the blog would make an attempt to fundraise for two worthy Dublin charities. We planned to do this in two ways. Firstly, we sold a limited edition print based on the cover of our recent book. For this, we owe huge thanks to Luke Fallon who designed the image, but we are also very much indebted to Mark and his team at Grehan Printers, who produced the top quality prints for the night. This print was sold on the night of the booklaunch, and €400 was made which was then donated to the Simon Community. Simon do hugely important work for the homeless in Dublin, and against the backdrop of an awful winter were a very fitting charity. In early January, we done something totally new and embarked on a Come Here To Me! Walking tour of Dublin. 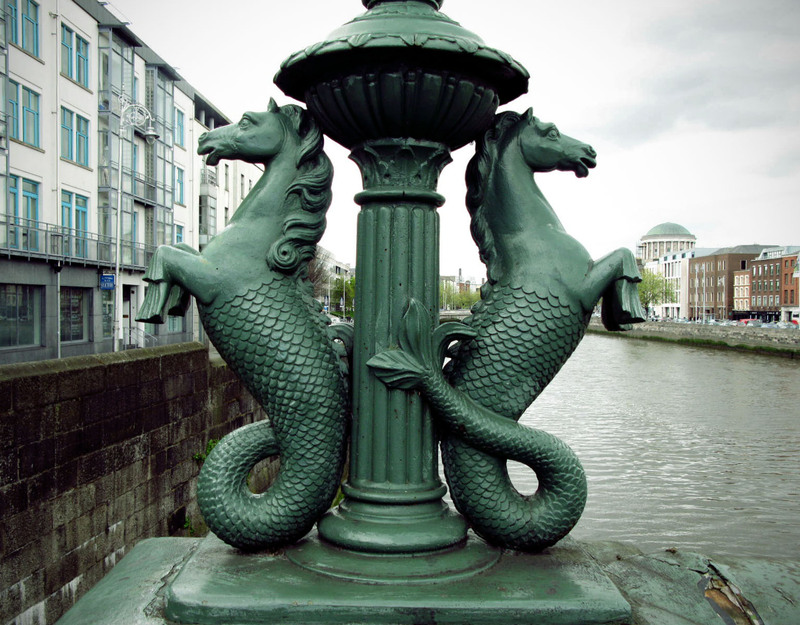 Over two days, we took over 50 readers of the blog on a tour of Dublin which looked at the offbeat side of the capitals history. We owe huge thanks to all who came on these tours, and personally I want to thank Ci and Sam who found themselves acting as tour guides for the first time, but who were both fantastic in the role. These tours raised €540, which has been donated to ALONE. Thanks to everyone who supported these two efforts, which raised €940 in total. We hope that in the future we can use Come Here To Me! again to fundraise for deserving Dublin causes, and we thank everyone for their continued support. Deadly ! Fair play to you, first for such a great blog and now for the charity work as well. Totally agree, no more deserving cause than Alone and the great Simon Community, I was just chatting to a homeless man on Baggot st less than an hour ago, giving a few quid and and asking about his strategy for surviving the freezing cld that is clearly coming. He was incredibly brave and upbeat, even said he was hoping for snow (!) because a local business lends him a broom and so he can make money clearing the snow off the doorways! Fair play to that man, and fair play to all you. Keep up the great work, and let me know if you’d ever like me to do a tour for you (being doing them for years) I’d be happy and honoured to help out. best regards and great respects- Arran.